Q: My Port Charlotte house is only four years old, but some of my neighbors are already repainting their homes of the same age. Isn't four years a little early? A: Although a properly prepared paint job should last about five to seven years, repainting a tract house a few years sooner is usually a good idea to protect your investment. Most production homes are painted with a single coat and there are usually no trees around to help protect them from the sun or wind. Within a couple of years some of the paint may wear away, exposing bare wood. This is particularly evident on the less expensive T-1-11 vertical siding typically applied to the sides and backs of newer houses. Since the paint on the horizontal siding on the front of houses usually holds up longer, homeowners often don't notice deterioration occurring sooner around the rest of their home. Also, production homes are often not sealed with caulking around windows, doors, where the trim meets the siding or stucco, or where trim is butted together. As the house dries out in the summer heat, the wood shrinks and forms gaps, which expand over time to allow rain water into the walls and underhangs. This can also cause drafts and affect your energy bills by allowing heated or cooled air to escape. Having a professional painter waterproof and paint your house now will fill these gaps and help your wood siding and trim last longer. If you have stucco, painting will preserve its insulating value to keep your house cooler in the summer and warmer in the winter. Did you know that painting and staining are some of the easiest ways to improve the look of your home and property. They are also good do it yourself projects, though keep in mind there are benefits to hiring a Port Charlotte painting contractor to the job for you. A good painting contractor crew can finish a job in a fraction of the time it would take you to do it alone, and many people would rather leave the mess of painting and staining to a painting contractor as well. Regardless, a good coat of paint or fresh coat of stain can transform any Port Charlotte property from run down to looking good with just a few swipes of a brush. Find local painting service companies below. Q: Would it matter if I put off painting another year? A: Most homeowners wait too long to repaint their homes, and this procrastination can really cost them money. Investing in a good paint job now, including a complete power wash, thorough caulking, necessary scraping or sanding and well applied quality paint, will protect your home for far less money than it will cost to make repairs a couple years from now. 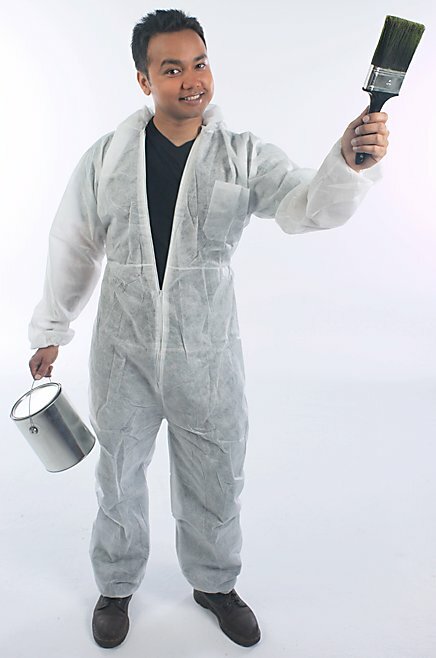 The most important, timely and labor intensive part of painting a house is the preparation work. The more damage found on the home, the more expensive preparation and repair will be necessary before painting. If the paint is peeling, we have to scrape, sand and apply a primer coat before repainting. If paint has worn off siding or trim, that exposed wood often cracks and twists and needs to be entirely replaced, primed and repainted. If wood has been exposed to water, dryrot develops and spreads to healthy wood. The longer dryrot goes unchecked, the more wood will need to be replaced before painting. Many Port Charlotte homeowners don't think about house painting until they see their neighbors painting, or worse, find evidence of damage to their siding or stucco. While most homeowners repaint for appearance, it's important to remember that paint's primary value is in its function of waterproofing, protecting and preserving your home.